Is this the year of “minority” horror? The first six months of 2017 saw a number of dirty films either made by women or dealing with the subject of racism. Is the mutant beast of horror changing shape or is this just a quick fad? We’re not even halfway through the year and we have already seen a significant number of horror movies either directed by women or dealing with the subject of racism, both of which are rather uncommon phenomena. Is this a one-off, a random coincidence or is the horror genre beginning to morph into something else, and tread into new territories? First of all, allow me excuse myself for calling women a “minority”. While I recognise that the ladies outnumber the gents both in the UK and worldwide, I need to point out that sadly they are still a minority when it comes to filmmaking. A study commissioned by the professional association Directors UK last year revealed that only 13.6% of film directors working in the UK are women. There are no worldwide figures, but I would hazard a guess based on my very own anecdotal observation that the overall percentage of female directors across the globe is still single-digit. That’s why it’s not irrelevant that three of dirtiest horror films made this year were directed by very talented and young ladies. There are also two dirty movies this year dealing with the subject of racism, and drawing direct comparisons between evil and bigotry – also mostly uncharted territory in the cinema world. Typically in horror, black people are either the first victim or the villain. Or both – such as Geretta Geretta’s character Rosemary (pictured at the top) in Lamberto Bava’s Demons (1985). 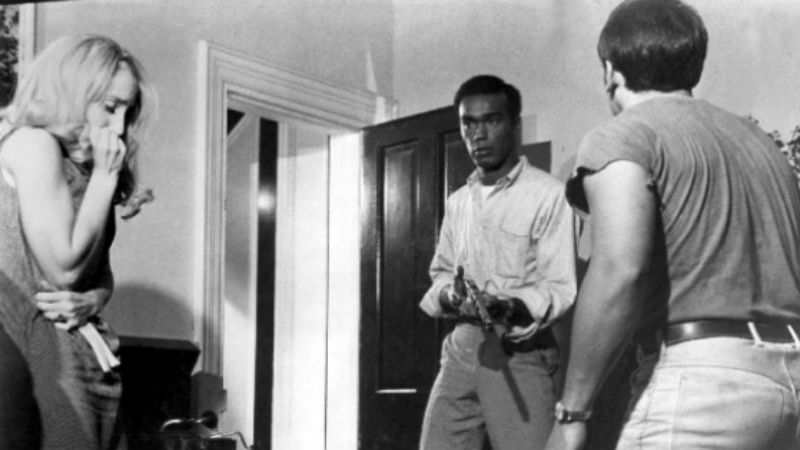 I remember George A. Romero’s 1968 classic Night of the Living Dead making a subtle yet very poignant statement against racial discrimination when at the very end of the movie the only non-infected human, who also happens to be black (played by Duane Jones, pictured above), is unexpectedly killed by military forces in some sort of preventative measure. It’s as if Romero was telling us that our society was not ready to embrace a black hero. I can’t remember any other films since making a similar statement. 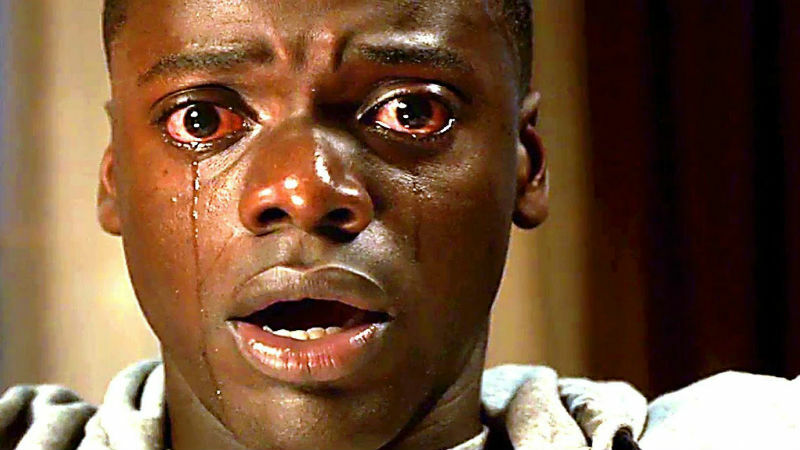 Until these two movies this year decided to portray black people as victims of racism, and to use horror as an allegory of the prejudice that they face. My memory and my knowledge might be failing me, so please feel free to add more to the list. And let’s all hope that horror is breaking away from dungeons of formulaic and conventional filmmaking, that new subgenres are being established and that these “minorities” are finally being given the opportunity to scream out their anguish and their tortured thoughts! Either way, let’s remember these five “minority” horror movies made in 2017. Just click on the film titles in order to accede to our dirty movie review! British filmmaker Alice Lowe popped out a strange blend of comedy and slasher dealing with pregnancy and a bloodthirsty unborn child. Her directorial and writing debut uses the horror genre as a vice to explore femininity and isolation. Unlike numerous egotistical star driven directorial debuts, Prevenge is a strange concoction of the slasher horror and comedy genres – making for a truly original recipe of British independent filmmaking. Lowe’s straight-faced performance is all the more impressive when considering the actress was seven months pregnant when filming the role. Her ability to create awkwardness in a scene lends itself well to her script-writing. Raw tells the story of 16-year-old Justine (Garance Marillier), who arrives for her first year in veterinary school somewhere in provincial France. She comes from a family of strict vegetarians, and she has never eaten meat herself, but she’s then forced to consume rabbits kidneys during an initiation ritual. You will soon realise that this is not a male-made film. Justine is, in fact, quite sweet and likable; she’s no rabid beast. Plus the female gaze behind the camera makes this a less exploitative and voyeuristic movie. This is like Roman Polanski from a female gaze. Australian director Cate Shortland director one of dirtiest and most arresting films of the year. It will keep you on the edge of your seat for about two thirds of the action. A truly disturbing tale of male obsession and violence towards women (in the shape of a kidnap), and the the disturbing façade of normality attached to it, set in the trendy and yet bleak and cold German capital. The dirtiest aspect of Berlin Syndrome is that, unlike in the syndrome named after the Swedish capital, the victim here does not gradually begin to identify with her kidnapper. The frail and vulnerable female portrayed by Teresa Palmer here defies all expectations and instead morphs into a headstrong escapee. She’s white, he’s black, they’re urban, he needs to meet her parents who live in a house on a huge estate out of town. His question: are her folks racist? The mixed-race couple go out to meet her parents and find a pleasant white couple with black servants. The black servants appear to under some sort of mind control to make them more palatable to white people. It’s a very good cast, particularly British-born Daniel Kaluuya as the male lead and veteran actress Catherine Keener as the mother. The film does have its shortcomings, but the message is loud and clear: racism is just plain horrific! American filmmaker Michael O’Shea, who’s not black, created an extraordinary portrait of teen angst, framed by the character of a boy obsessed in a bleak and soulless housing estate in New York. Milo (Eric Ruffin) is a young teenager living at a bottom of the social ladder on a housing estate in New York. He’s obsessed with vampires. He kills people and drinks their blood. He’s also a loner taunted by a gang of bullies. Sizing up likely prey, he makes friends with potential victim Sophie (Chloe Levine). The film deals with race in the sense that many of the housing estate residents including Milo and his family are black, and white people visit thinking they can buy drugs off dealers on the estate. But equally, Sophie is white: perhaps this is a consideration when Milo first stalks her, but it quickly becomes apparent to both him and us that she’s just as much an unloved and struggling teenager as he is.